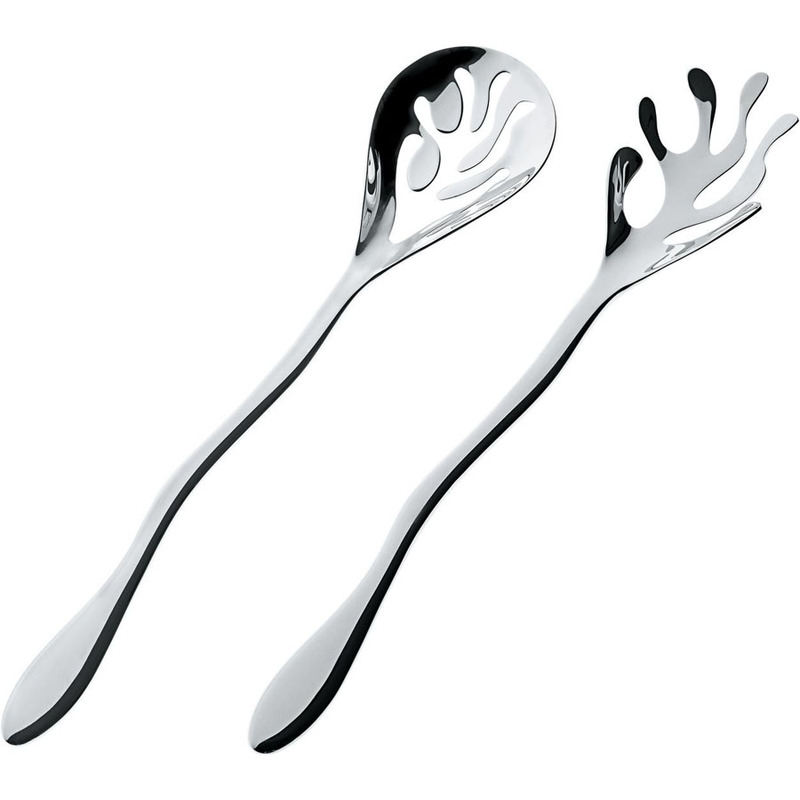 Alessi's Mediterraneo Two-Piece Salad Servers Set ESI16SET2. Alessi Mediterraneo Salad Set ESI16SET. The Alessi Mediterraneo salad serving set by Emma Silvestris will provide a perfect gift for a wedding, anniversary or house warming present. The playful influences of oceanic marine life that proved such a success with the Mediterraneo fruit bowls prove equally well suited to the salad serving arena This Alessi item is made in Italy (a nice surprise when compared to more expensive brands that we found are made in China). These beautiful and distinctive salad servers are precision cut by laser from highly polished stainless steel and beautifully finished. Now you just need to make the salad look as good as the serving set! ESI16SET - Mediterraneo, Salad set - Alessi salad set. The Mediterraneo fruit bowl - Another classic design for Alessi by Emma Silvestris. Emma Silvestri, who is a jewelry designer by trade, let her imagination loose on the submarine world, transferring the weightlessness of its inhabitants - corals - into cut and molded metal - an audacious but successful oxymoron. Alessi Project ESI16SET - Mediterraneo, Salad set of LPWK: Table accessories, Salad set.